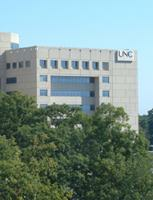 The UNC Department of Anesthesiology provides a full spectrum of expert anesthesia services for all patients and surgeries–from newborns to geriatrics, outpatient ambulatory surgery to invasive inpatient procedures, elective operations to emergencies to continued postoperative care in the intensive care unit. Faculty provide both general anesthesia services and subspecialty care (for example, cardiovascular, obstetric and pediatric anesthesia teams). This website cannot substitute for a complete preoperative evaluation and discussion. Nevertheless, you will find some generally useful information in this section of the website (links in the left column). In addition, you can explore the rest of the site to find information about the department. Some useful links to other websites are listed below.